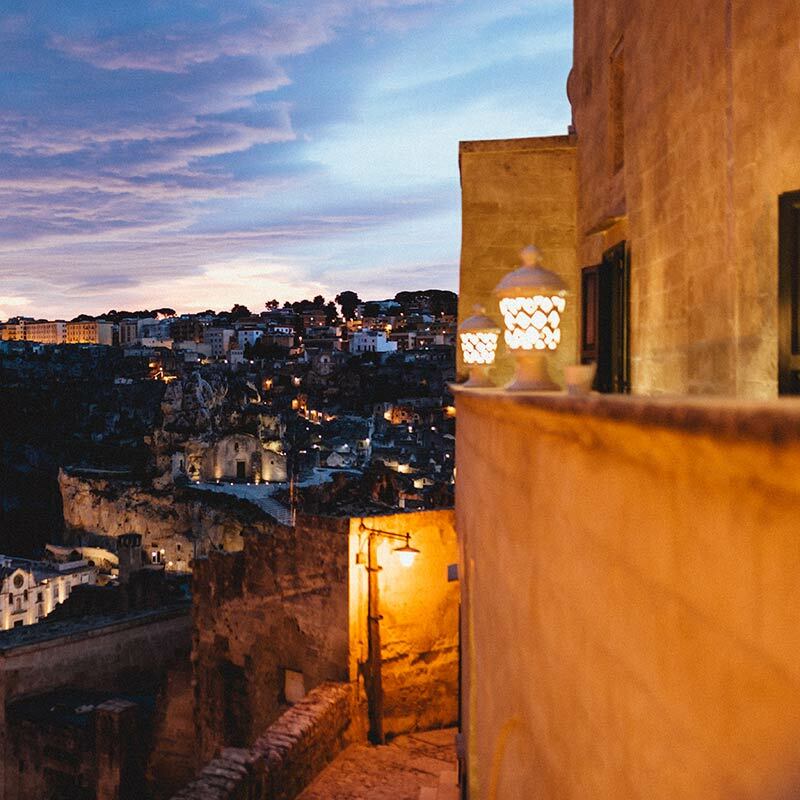 and the most beautiful city in the world. 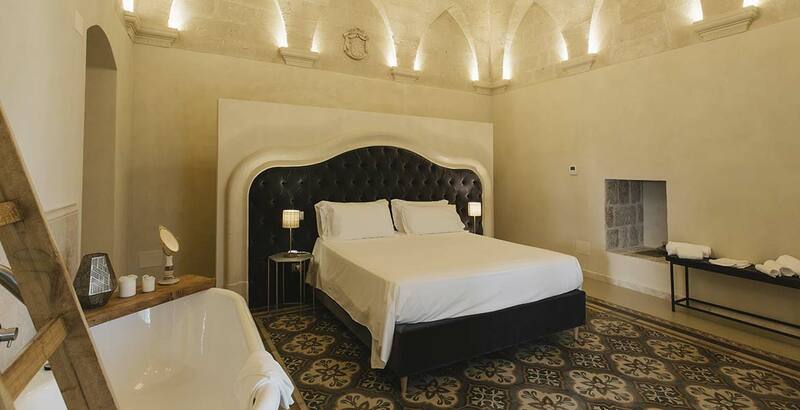 and deluxe rooms and a unique trip. 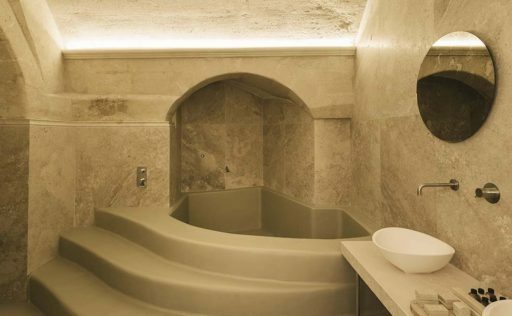 an appointment with your wishes. 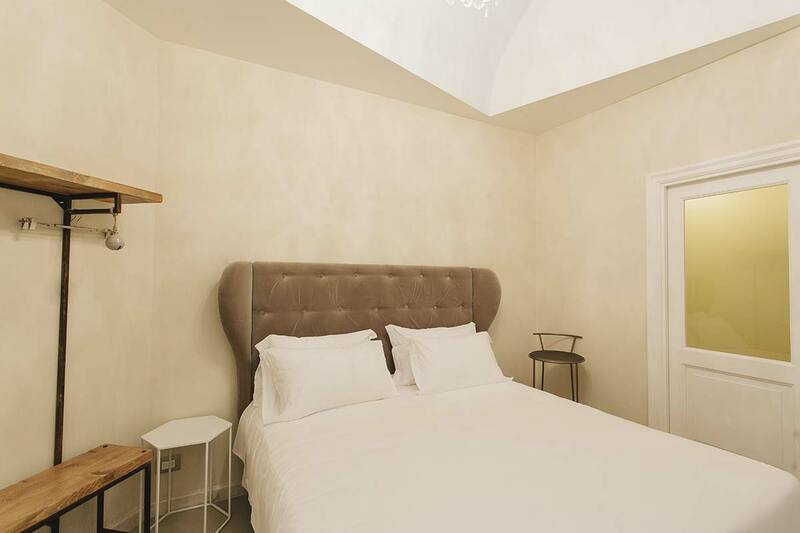 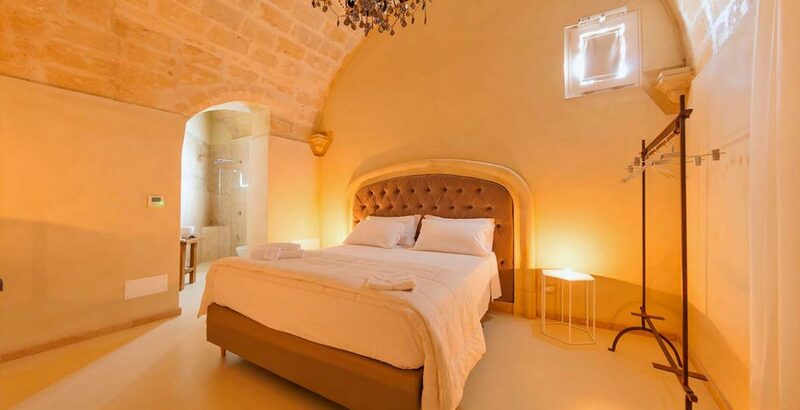 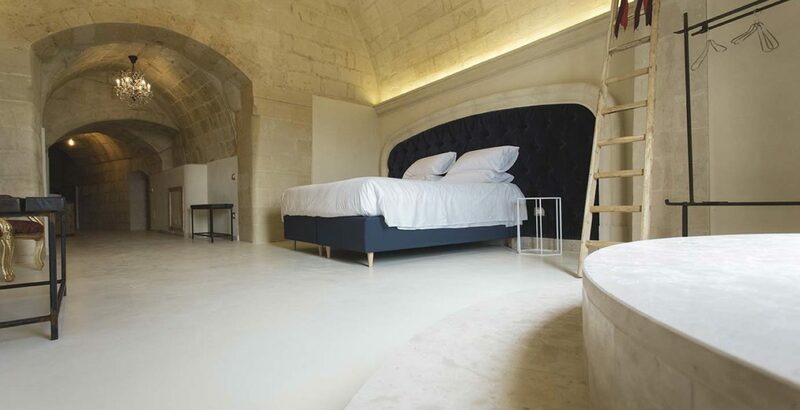 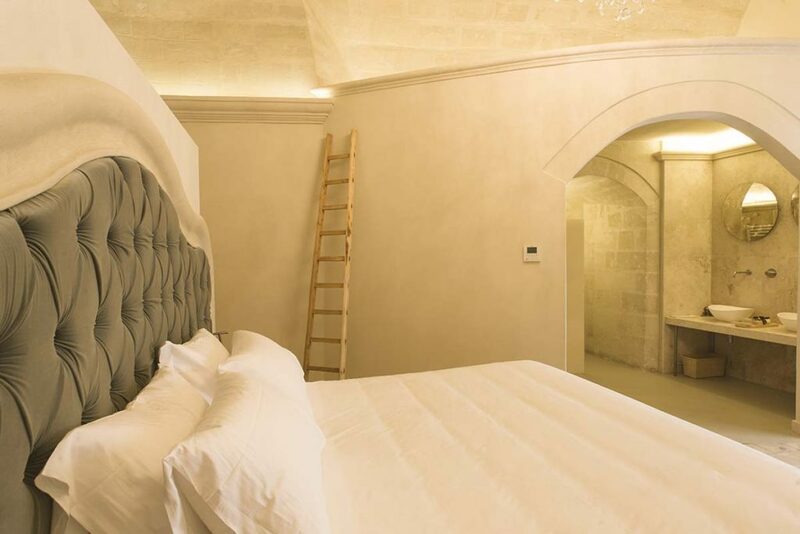 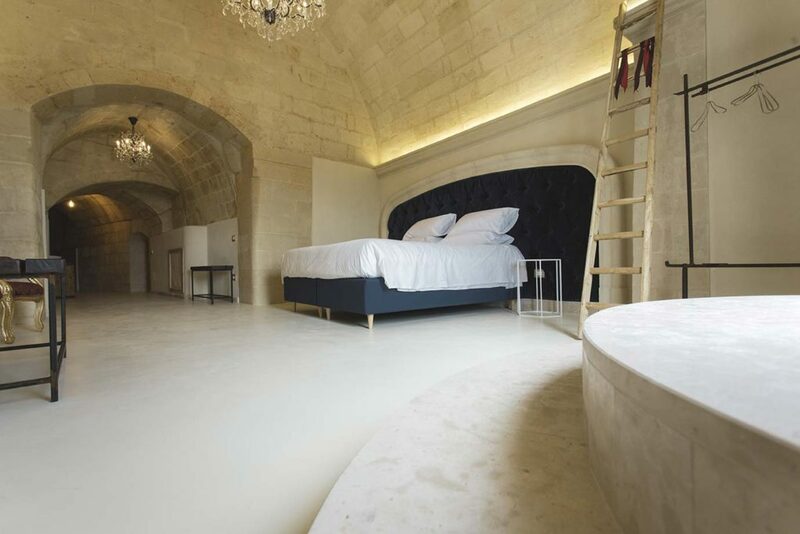 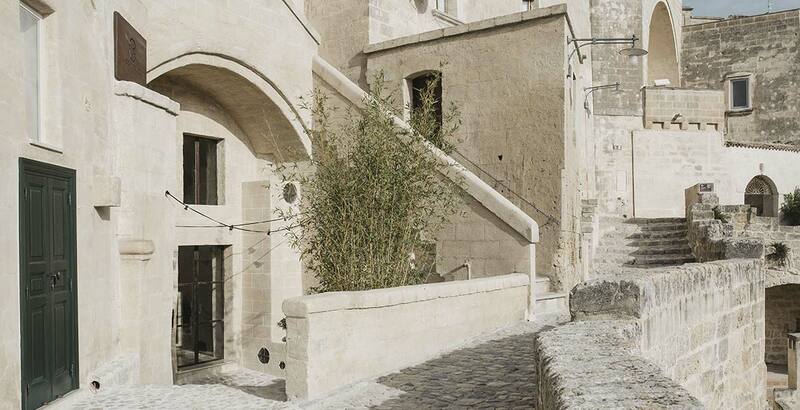 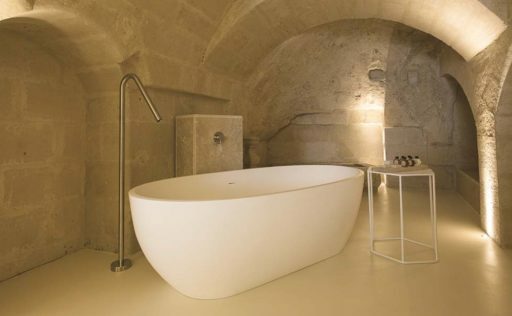 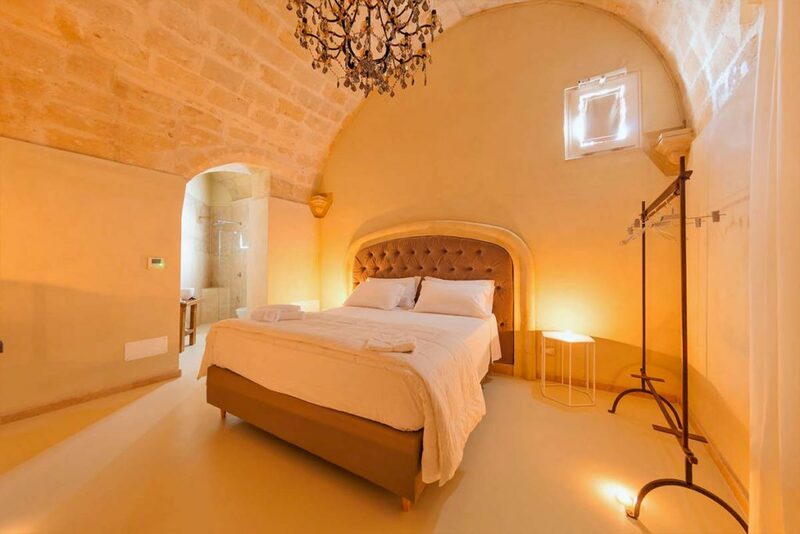 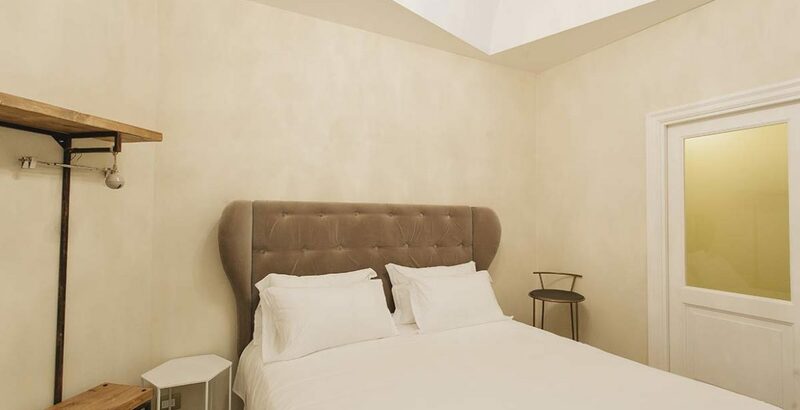 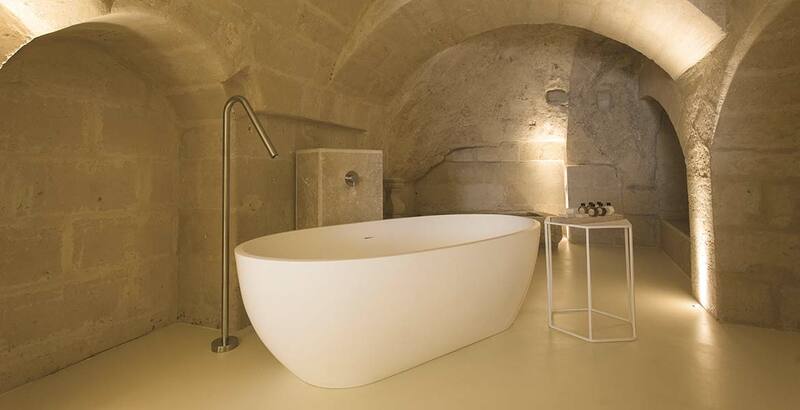 Sleeping in Matera in Palazzo del Duca is a unique experience, the perfect combination between history, beauty and relaxation. 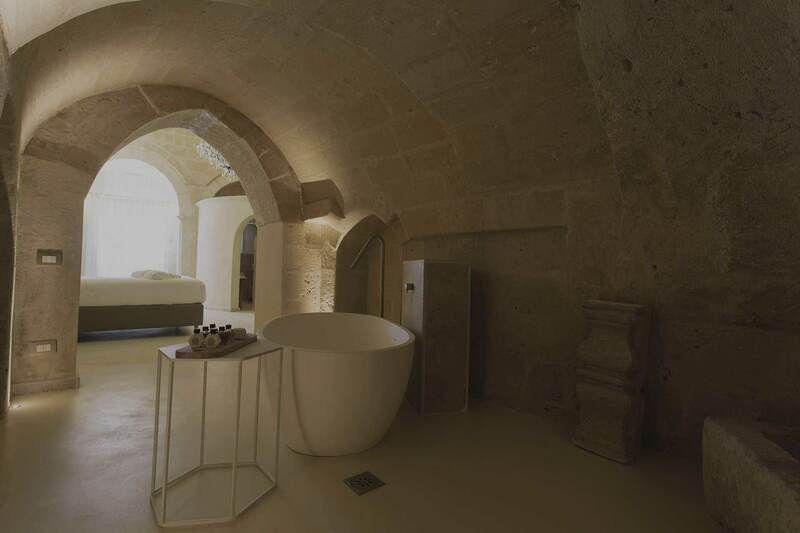 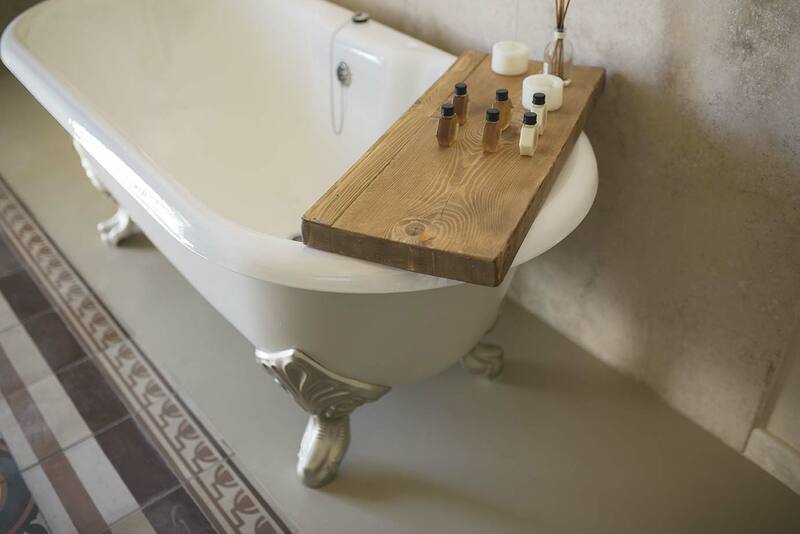 Palazzo del Duca offer services for the relaxation and well-being of its guests. 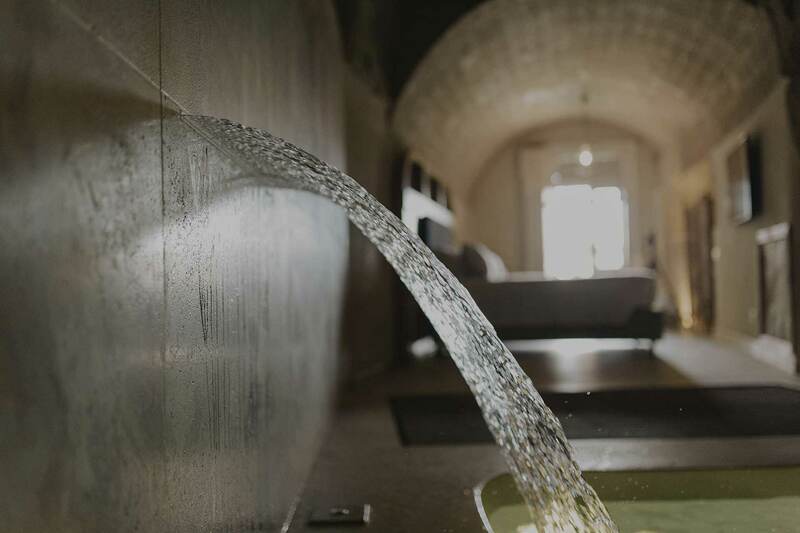 Some suites have in-room pool with hydromassage tubs and private spas. 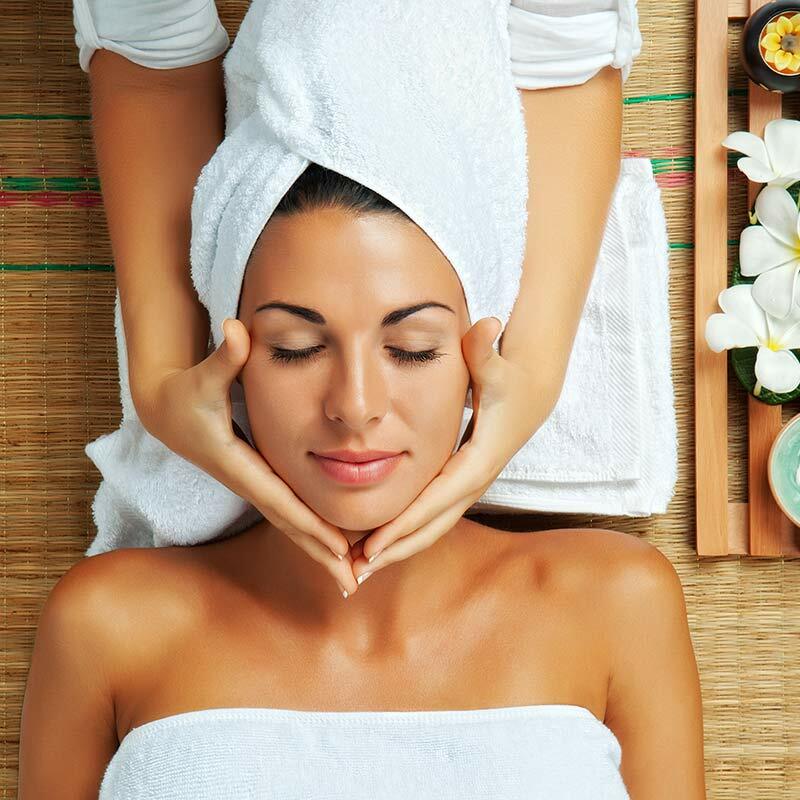 It’s also possible to benefit of specific treatments, such as Reiki treatment, energetic massage, relaxation massage and candle massage. 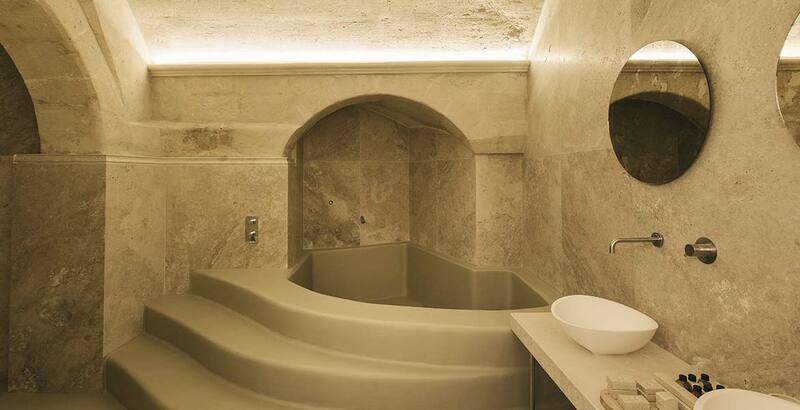 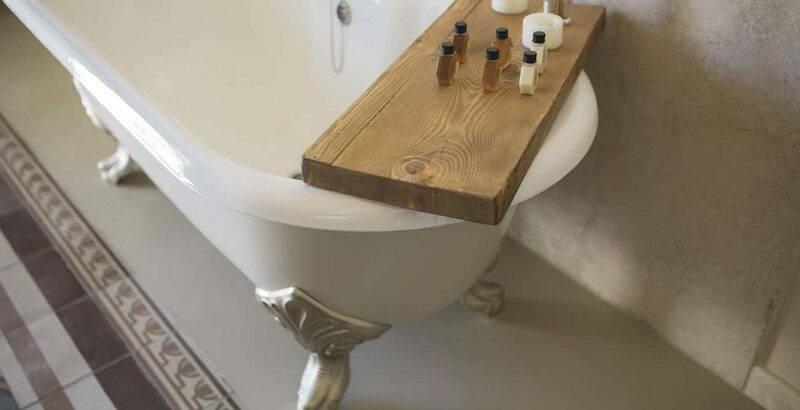 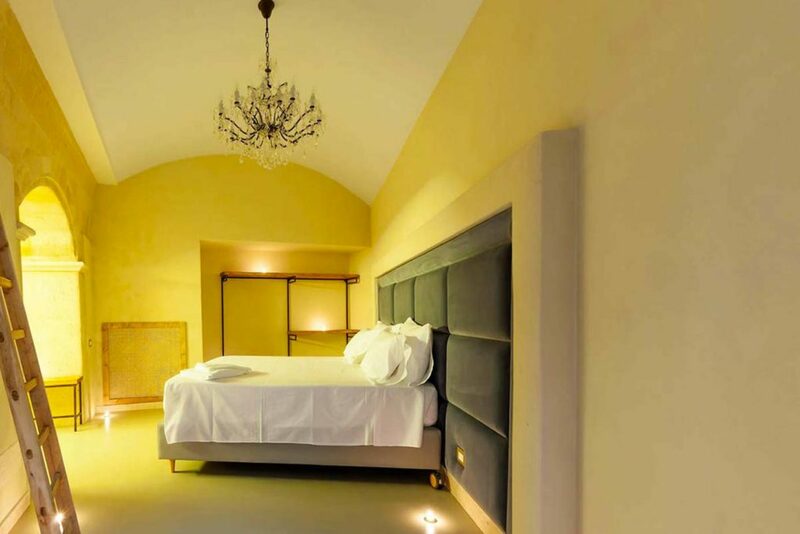 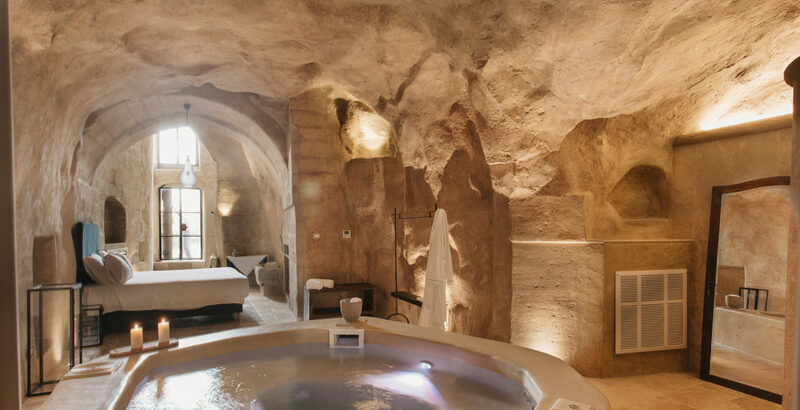 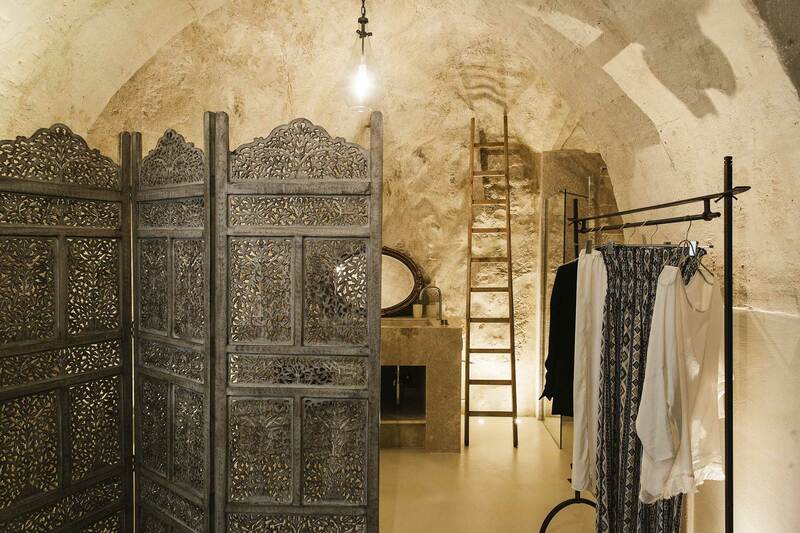 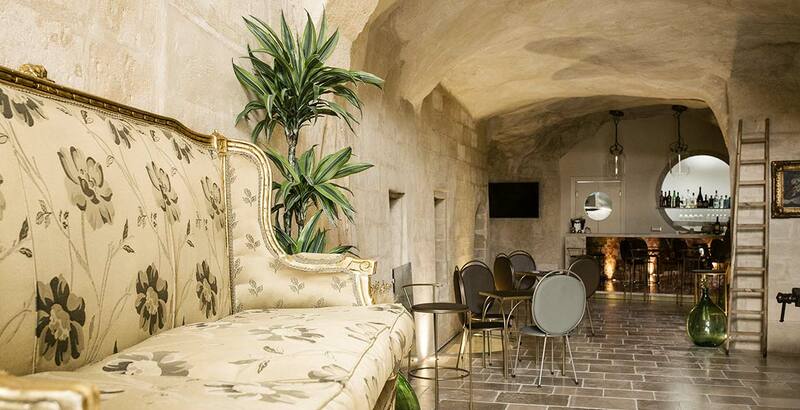 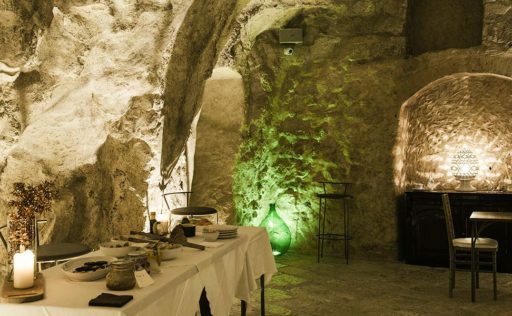 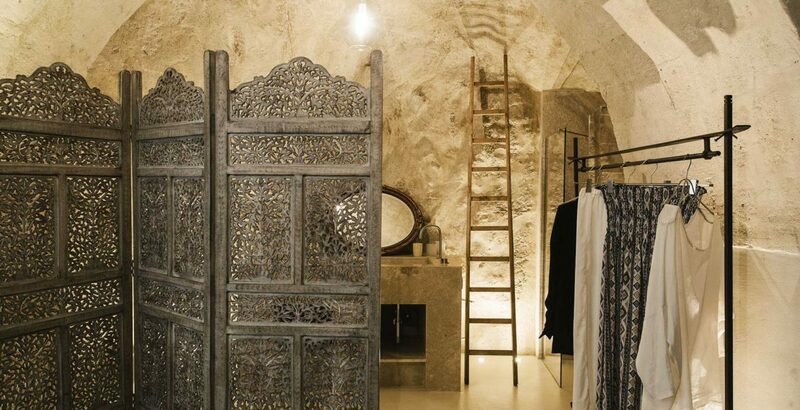 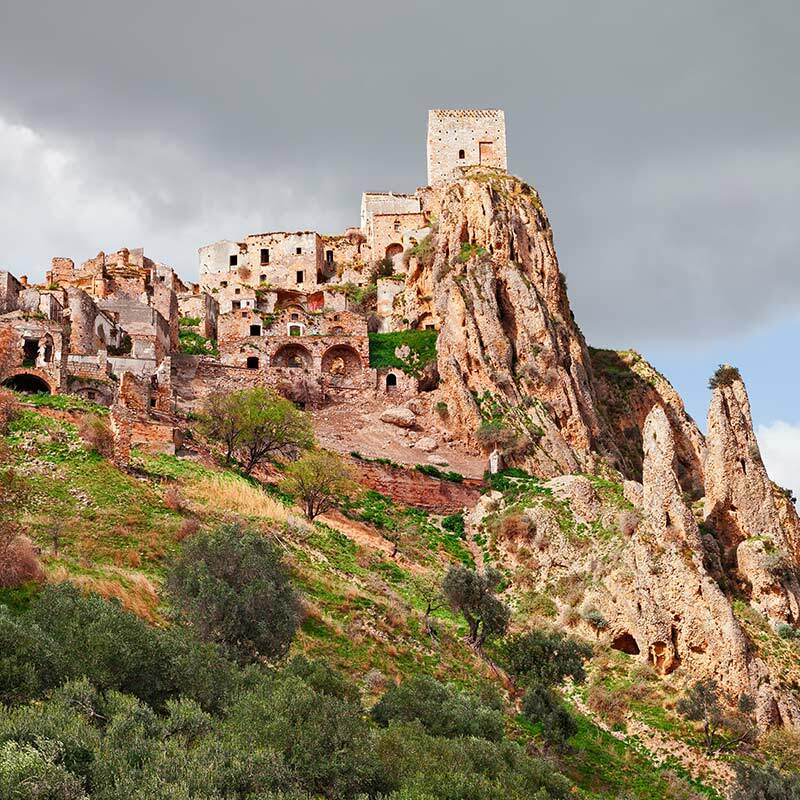 History lovers can breathe the atmosphere of an ancient building with the panoramic view of the Sassi and sleep in a cave room, restored in keeping with its original essence. 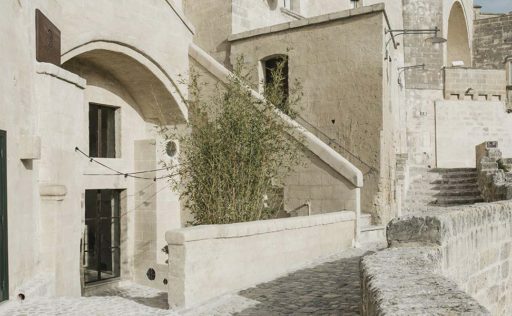 In addition, to discover the value and the richness of Matera and its territory, it is possible to enjoy one of the guided tours among the museums, palaces, castles and artisan shops. 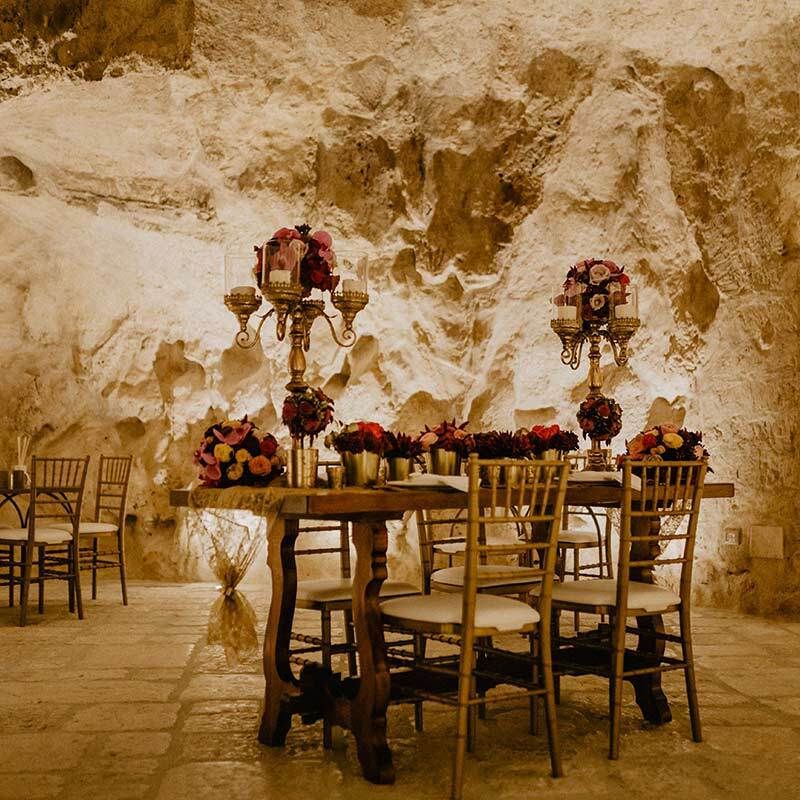 A romantic and elegant location, to celebrate weddings, special occasions and anniversaries. 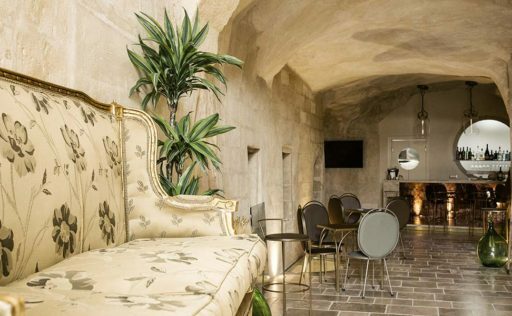 Dreamy spaces, refined settings and services designed specifically for the wedding day, for romantic weekends, anniversaries and special moments: Palazzo del Duca cares about love. 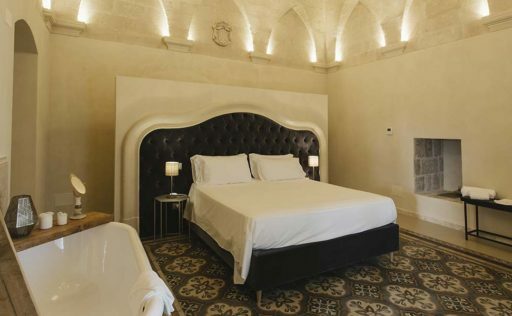 Palazzo del Duca offers its guests the opportunity to experience a holiday in deep contact with nature, with tours through the Sassi, guided tours through the villages of Valle d’Itria, excursions on the Lucanic Dolomites and the Murgia of Matera and cycle walks for two wheels fans. 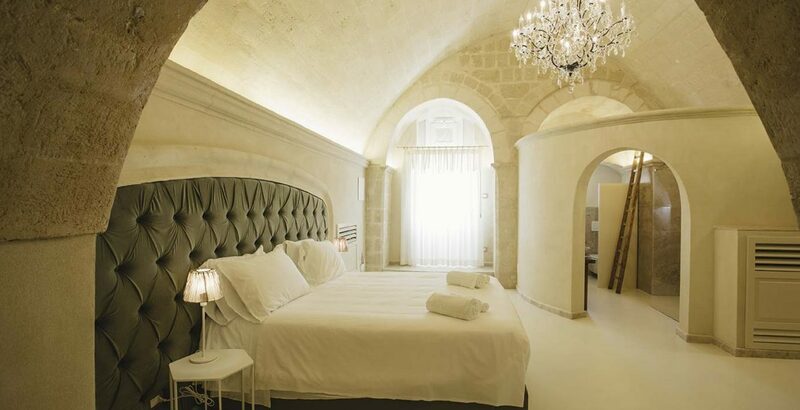 Dreamy nights in a magical and elegant setting. 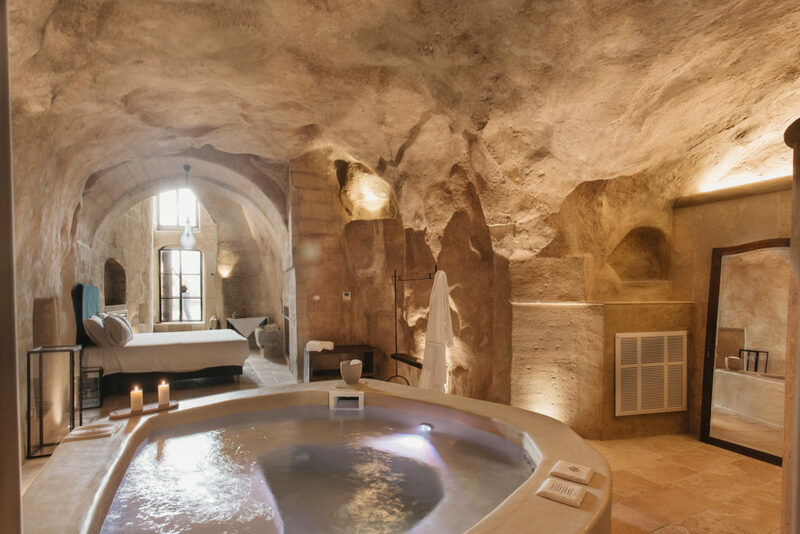 And all the pleasure of a relaxing holiday. 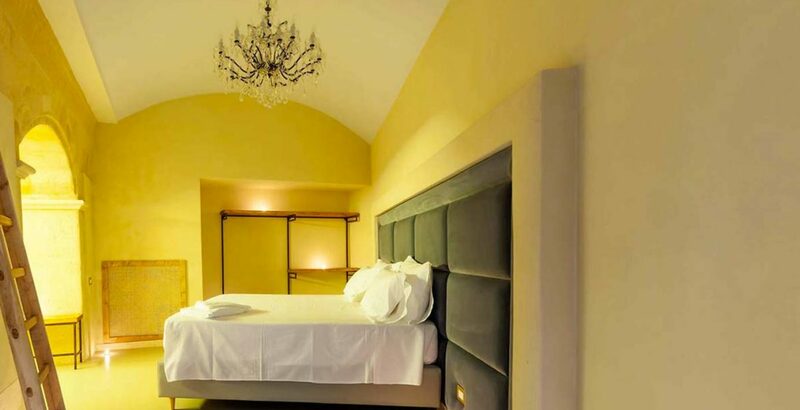 An unforgettable New year night in an amazing hotel and city! 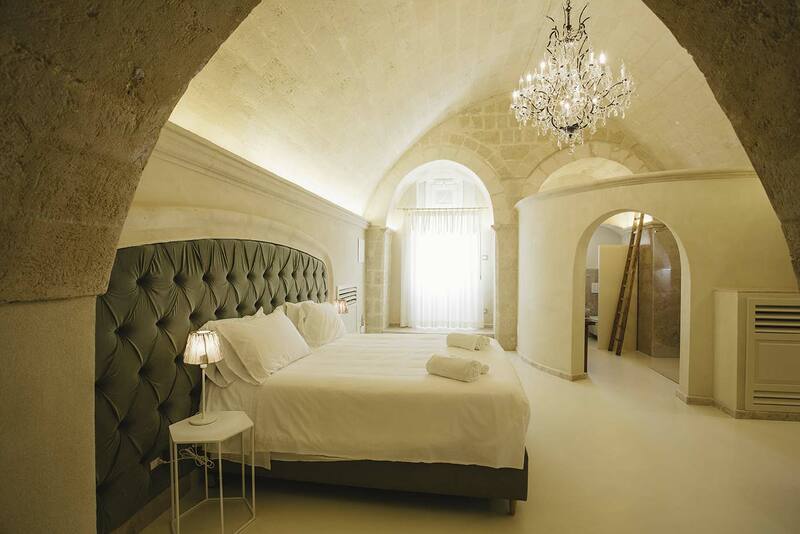 «We spent a wonderful New Year night at Palazzo del Duca, in an Unesco amazing city! 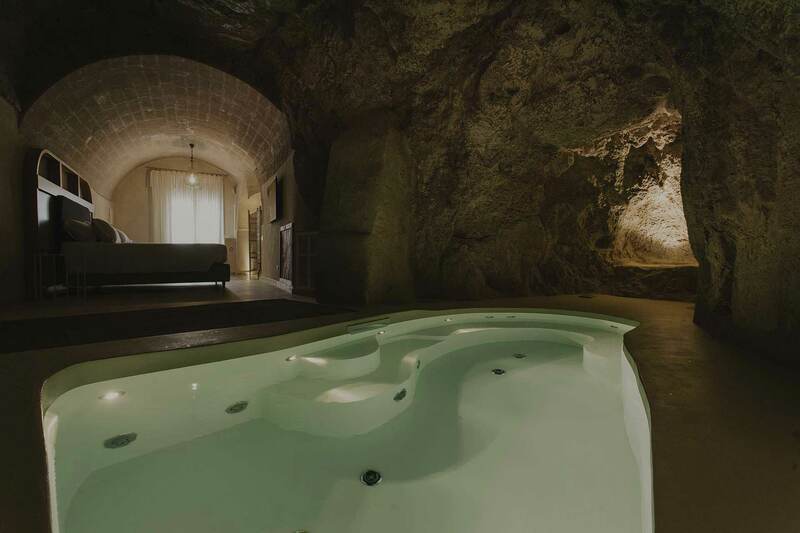 Everything was superlative! 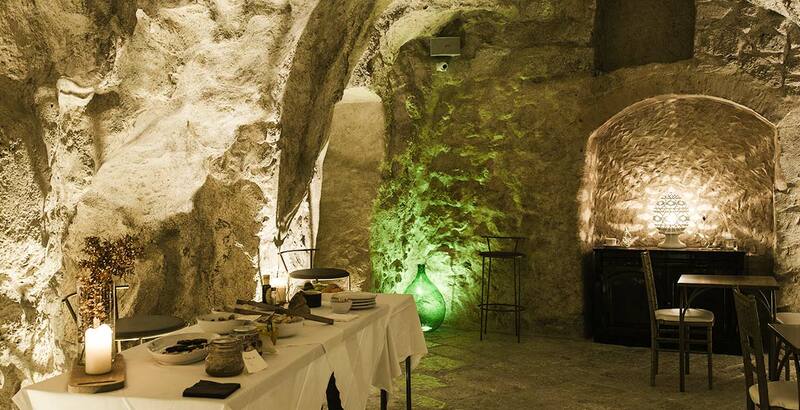 excellent New Year’s Eve dinner, live music and location in a former cave was very special!